Design Warehouse is proud to exclusively offer these amazing outdoor heaters to our clients, residential and commercial. The design, the look, and the specs are impressive and like nothing you have seen before. Not only do they provide heat, they provide style and ambiance to your outdoor space. Relax and enjoy cooler evenings for hours. Be confident that your guests will be comfortable and warm. A professional install is required. The Heatsail® Dome® pendants are absolutely stunning. Hang them over your dining or deep seating area. They are perfect for a covered patio, porch, or sheltered space. With proper care they will last many years. 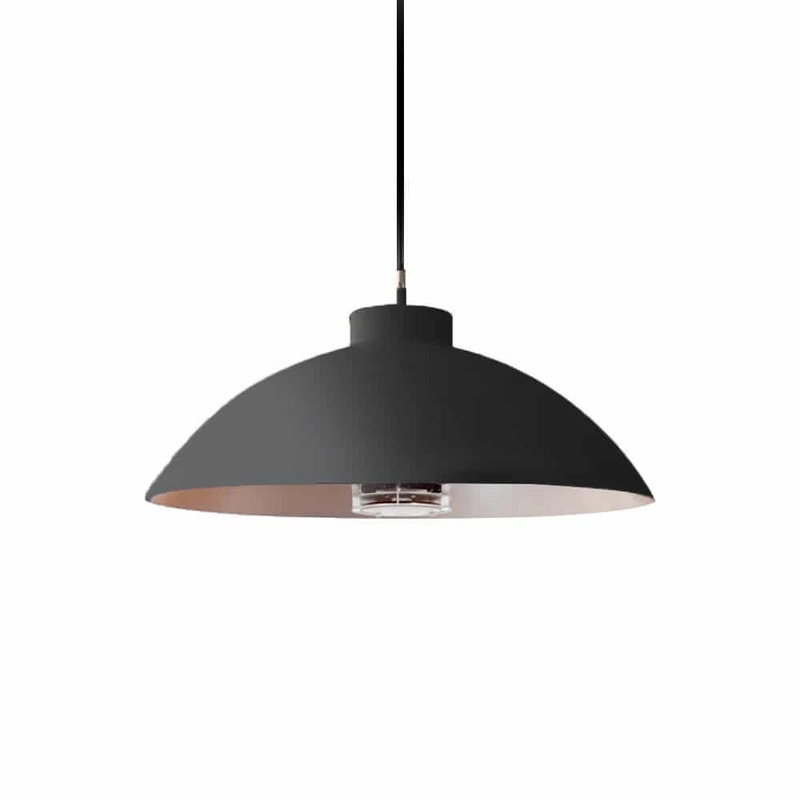 The Dome® Pendants use 5x less energy compared to traditional gas-fueled heater, and they heat up to 5 metres. Why not go with the best design and style? The Heatsail® Dome® heaters will transform your outdoor living space. They are stylish and functional. They provide heat and a beautiful glow that will have you making the most of your space. Enjoy long evenings on cooler days with these amazing outdoor heaters. They can be used for private residences or commercial spaces. Visit our showroom to experience these superb heaters. Or call us today with any questions you may have about installation or usage.